10 A None No Power Seat 10 A is a standard Economy Class seat located directly in front of the Exit Row. Seat back recline is limited. 10 B None No Power Seat 10 B is a standard Economy Class seat located directly in front of the Exit Row. Seat back recline is limited. 10 C None No Power Seat 10 C is a standard Economy Class seat located directly in front of the Exit Row. Seat back recline is limited. 10 D None No Power Seat 10 D is a standard Economy Class seat located directly in front of the Exit Row. Seat back recline is limited. 10 E None No Power Seat 10 E is a standard Economy Class seat located directly in front of the Exit Row. Seat back recline is limited. 10 F None No Power Seat 10 F is a standard Economy Class seat located directly in front of the Exit Row. Seat back recline is limited. 11 A None No Power Seat 11 A is a standard Economy Class seat that Aegean Airlines designates as a "Up Front" seat. This seat has additional legroom and allows you to be one of the first to disembark, but costs extra to book. The tray table is installed in the armrest making the armrest immovable, therefore, slightly reducing seat width. There is no floor storage available for use during takeoff and landing. 11 B None No Power Seat 11 B is a standard Economy Class seat that Aegean Airlines designates as a "Up Front" seat. This seat has additional legroom and allows you to be one of the first to disembark, but costs extra to book. The tray table is installed in the armrest making the armrest immovable, therefore, slightly reducing seat width. There is no floor storage available for use during takeoff and landing. 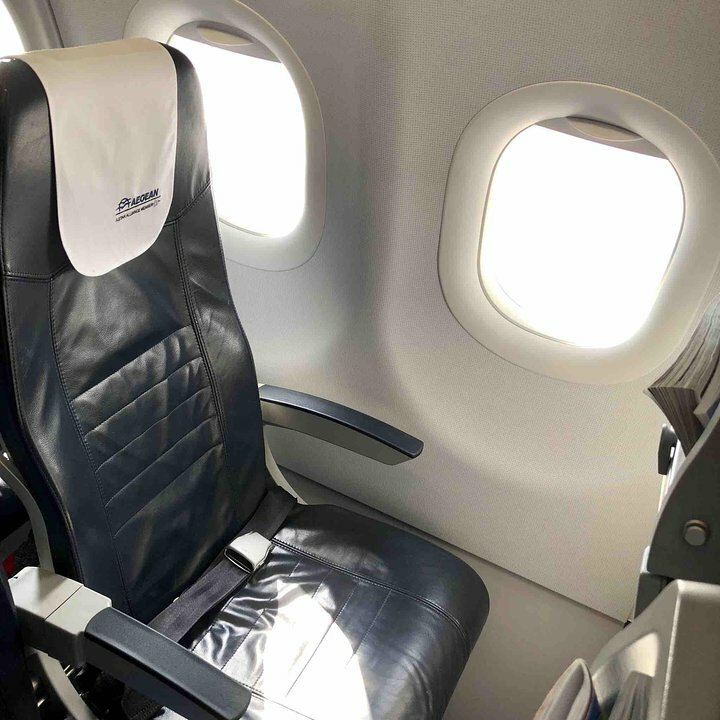 11 C None No Power Seat 11 C is a standard Economy Class seat that Aegean Airlines designates as a "Up Front" seat. This seat has additional legroom and allows you to be one of the first to disembark, but costs extra to book. The tray table is installed in the armrest making the armrest immovable, therefore, slightly reducing seat width. There is no floor storage available for use during takeoff and landing. 11 D None No Power Seat 11 D is a standard Economy Class seat that Aegean Airlines designates as a "Up Front" seat. This seat has additional legroom and allows you to be one of the first to disembark, but costs extra to book. The tray table is installed in the armrest making the armrest immovable, therefore, slightly reducing seat width. There is no floor storage available for use during takeoff and landing. 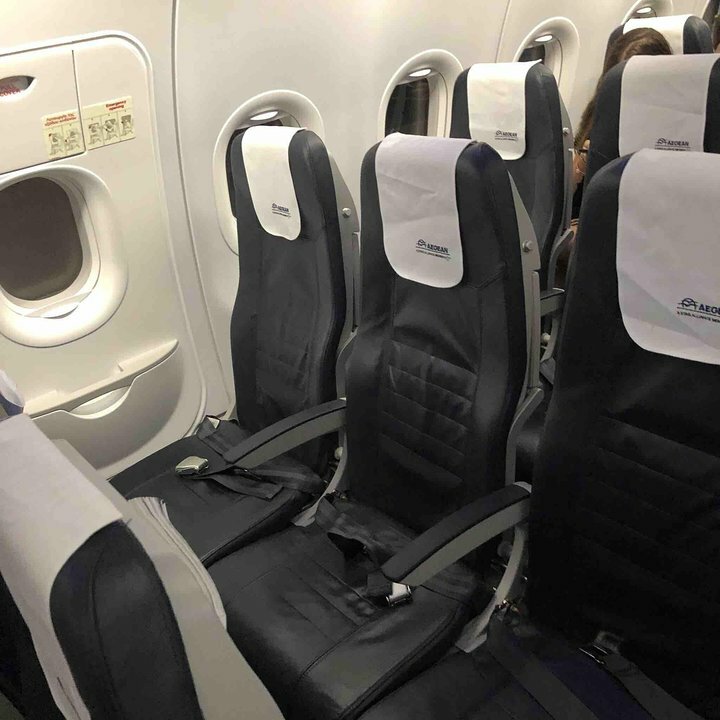 11 E None No Power Seat 11 E is a standard Economy Class seat that Aegean Airlines designates as a "Up Front" seat. This seat has additional legroom and allows you to be one of the first to disembark, but costs extra to book. The tray table is installed in the armrest making the armrest immovable, therefore, slightly reducing seat width. There is no floor storage available for use during takeoff and landing. 11 F None No Power Seat 11 F is a standard Economy Class seat that Aegean Airlines designates as a "Up Front" seat. This seat has additional legroom and allows you to be one of the first to disembark, but costs extra to book. The tray table is installed in the armrest making the armrest immovable, therefore, slightly reducing seat width. There is no floor storage available for use during takeoff and landing. 12 A None No Power Seat 12 A is a standard Economy Class seat located in the Exit Row. There is extra legroom in this row and the seat back in front will not recline into your personal space. 12 B None No Power Seat 12 B is a standard Economy Class seat located in the Exit Row. There is extra legroom in this row and the seat back in front will not recline into your personal space. 12 C None No Power Seat 12 C is a standard Economy Class seat located in the Exit Row. There is extra legroom in this row and the seat back in front will not recline into your personal space. 12 D None No Power Seat 12 D is a standard Economy Class seat located in the Exit Row. There is extra legroom in this row and the seat back in front will not recline into your personal space. 12 E None No Power Seat 12 E is a standard Economy Class seat located in the Exit Row. There is extra legroom in this row and the seat back in front will not recline into your personal space. 12 F None No Power Seat 12 F is a standard Economy Class seat that Aegean Airlines designates as a "Up Front" seat. There is extra legroom in this row and the seat back in front will not recline into your personal space. 29 D None No Power Seat 29 D is a standard Economy Class seat. The proximity to the galley and lavatory area might be bothersome. 30 A None No Power Seat 30 A is a standard Economy Class seat located in the last row of the aircraft. Seat back recline might be limited due to the wall of the lavatory directly behind. Also, if the seat back in front is reclined then there will be a reduction of personal space. The proximity to the galley and lavatory area might be bothersome. 30 B None No Power Seat 30 B is a standard Economy Class seat located in the last row of the aircraft. Seat back recline might be limited due to the wall of the lavatory directly behind. Also, if the seat back in front is reclined then there will be a reduction of personal space. The proximity to the galley and lavatory area might be bothersome. 30 C None No Power Seat 30 C is a standard Economy Class seat located in the last row of the aircraft. Seat back recline might be limited due to the wall of the lavatory directly behind. Also, if the seat back in front is reclined then there will be a reduction of personal space. The proximity to the galley and lavatory area might be bothersome. 30 D None No Power Seat 30 D is a standard Economy Class seat located in the last row of the aircraft. Seat back recline might be limited due to the wall of the lavatory directly behind. Also, if the seat back in front is reclined then there will be a reduction of personal space. The proximity to the galley and lavatory area might be bothersome. 30 E None No Power Seat 30 E is a standard Economy Class seat located in the last row of the aircraft. Seat back recline might be limited due to the wall of the lavatory directly behind. Also, if the seat back in front is reclined then there will be a reduction of personal space. The proximity to the galley and lavatory area might be bothersome. 30 F None No Power Seat 30 F is a standard Economy Class seat located in the last row of the aircraft. Seat back recline might be limited due to the wall of the lavatory directly behind. Also, if the seat back in front is reclined then there will be a reduction of personal space. The proximity to the galley and lavatory area might be bothersome. Six channels of recorded music are available through a connection and controller located in the seat armrest. Drop-down video screens feature short films with information highlighting Greek history, culture, and tourist sites. Flight maps indicating route, speed, altitude, and the time of arrival at the destination are presented in between the short films. 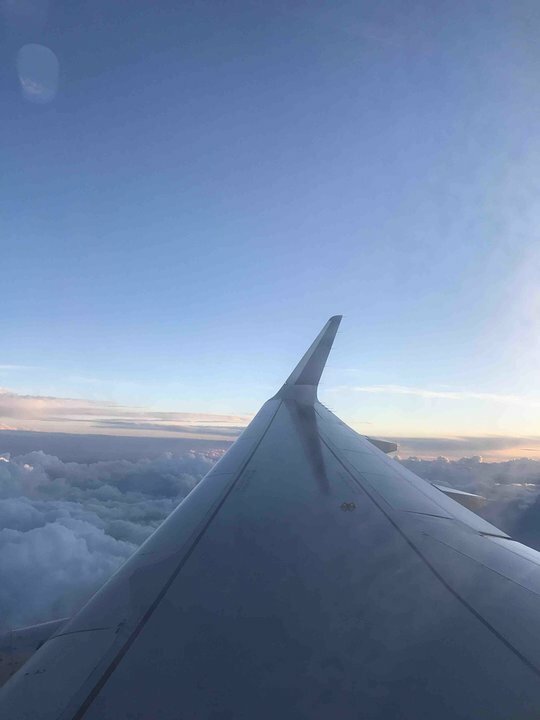 Select films are presented on long-haul flights. Aegean Airlines Airbus A320-200's are used on short- and medium-capacity routes. 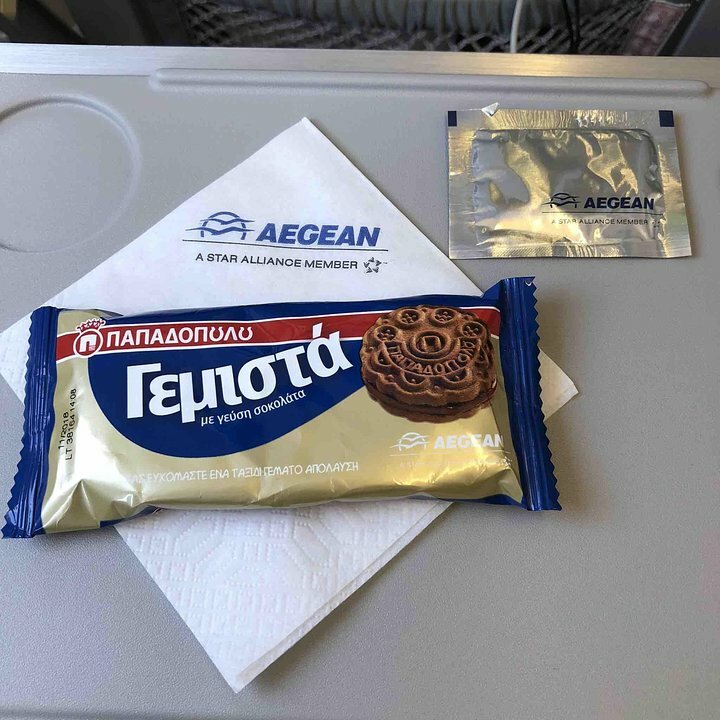 I traveled Athens-Zurich with Aegean Airlines and the SX-DNB aircraft. I chose the 21A position. This place is awkward. 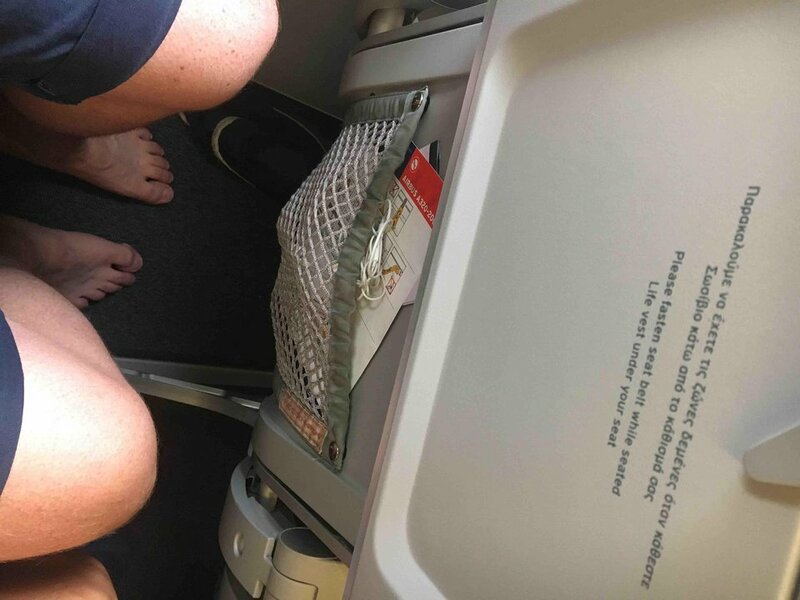 The foot space is minimal, and the window is in an uncomfortable position. The display is two rows ahead . very tiny leg room as I am quite tall. flight attendants friendly and meal ok.
Exit row 12F was nice for the 2.5 hour ZRH-ATH flight and back. Quite a few empty seats throughout the cabin both ways, and a nice meal service. It is a wonderful seat at no additional cost (subject to availability during online check in) - more legdom and reclining. Aegean Airlines flies 1 versions of Airbus A320.